Alright, the snowflakes and flurries were cute and exciting when it was December and they felt festive…but I’m ready for them to go away now. I was FaceTiming with my parents yesterday while Lindsey and I were bundling up our parkas to venture out into the tundra uptown in Oxford and, being the loving parents that they are, they showed us a panoramic view of their 85-degree sunnier-than-ever golf course background while they ate their lunch outside in Palm Springs. Thanks for the invite guys.. Now if you’ll excuse me I have to go put on two more layers so I can walk across the street without freezing to death. 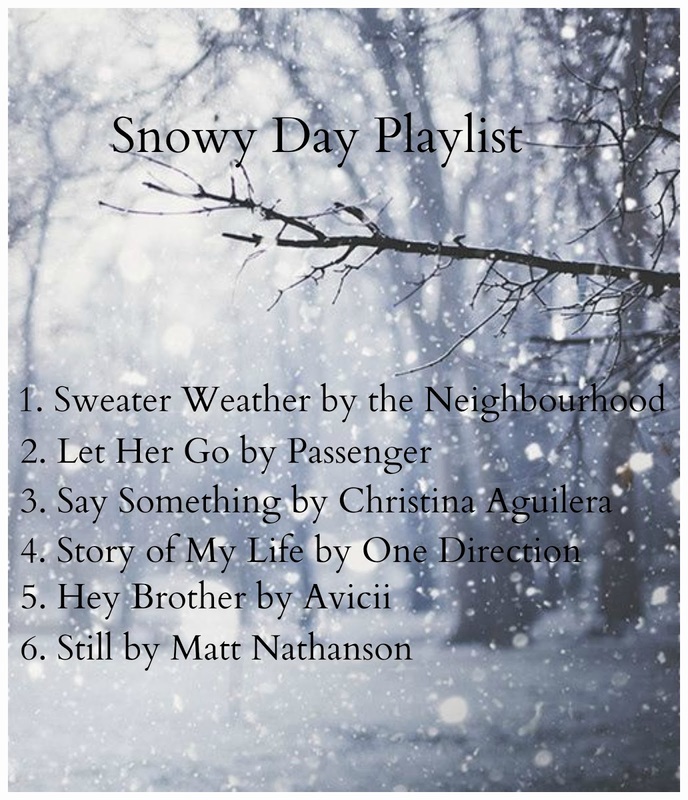 In an effort to make these seemingly never-ending snowy afternoons a little more bearable, I’ve made you another playlist! Curl up in some blankets, grab a book and a cup of tea, and enjoy!